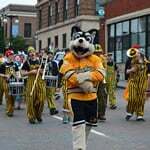 The Huskies Pep Band marched in the parade on Friday, June 21, for Bridgefest and FinnFest 2013. Upper Peninsula Marketing Department, Inc., has shared images of the parade on Facebook. The Huskies Pep Band is a Michigan Tech point of pride and one of the most lauded pep bands in the Midwest. Members enjoy an active schedule, performing at concerts, athletic events, parades, and special events. Open to all with band experience. Contact Mike Christianson or visit the DAWGS page to learn more. Get involved with music in the Department of Visual and Performing Arts. During FinnFest 2013, artist Susanne Kilpela will have work displayed at the Gallerie Boheme, 423 Fifth Street in Calumet. The exhibit will include drawings and porcelain sculpture. The artist reception is on Thursday, June 20, 2013, from 7-9 pm. Kilpela will be co-curating a group exhibition at the Rozsa Gallery. Five Contemporary Finnish-American Artists will exhibit paintings, bronze sculpture, paper and found object assemblages. The gallery reception is on Saturday, June 22, 2013, from 5-7 pm. Learn more about FinnFest 2013 and the event schedule. Bruce Seely, dean of Michigan Tech’s College of Sciences and Arts, announced the appointment of three new department chairs. 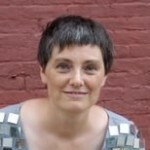 On July 1, Anne Beffel will assume chairmanship of the Department of Visual and Performing Arts. Beffel is an artist who works in many forms and media, including the visual and performance arts. She replaces Roger Held, who is completing seven years as chair of VPA. Beffel joins Michigan Tech from Syracuse University’s College of Visual and Performing Arts, where she has taught since 2000. She defines herself as a “time artist,” which she says means that she is deeply interested in connecting art and social context in time, using all forms and media. Read more at Tech Today, by Bruce Seely. 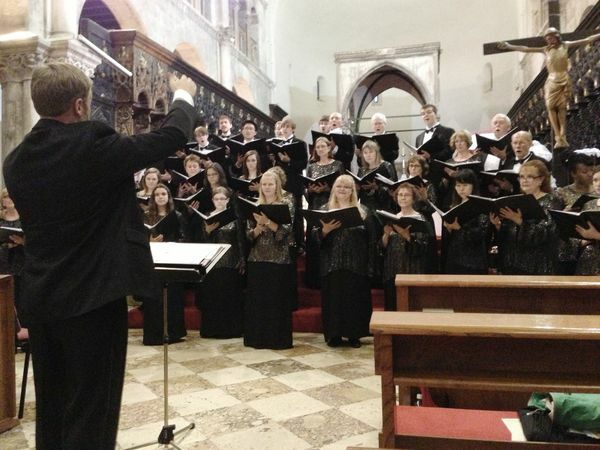 The former area of Yugoslavia conjures up images of war and civil unrest for many people, but for some members of the Michigan Tech Concert Choir, the Eastern European region is where many great memories were recently made. 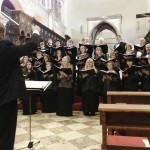 The choir, previously under the leadership of Milton Olsson, has taken trips to Mexico City, Central Europe, Eastern Europe, Brazil and China, and Anderson said the group will likely travel again in three to four years. “Beautiful” is the brain-child of Kelly and Aerial Choreographer Jason Whicker. Whicker’s aerial work surpasses flight originally created for any show on or off Broadway. Featured guest choreographers include “So You Think You Can Dance” finalist Robert Taylor, Jr., and Dreya Weber, Pink’s Aerial choreographer. Most everyone knows of the wonder and spectacle that Cirque du Soleil shows can bring, now residents of the Copper Country and beyond can experience “Beautiful,” a cirque-style show that will be premiering next week at the Rozsa Center. The article Faking It by Jennifer Donovan concerns Tech theatre students and the art of illusion. Each year, students and professionals who work in theatre technology—sound, lighting, costumes, stage effects—gather at the United States Institute for Theatre Technology (USITT) annual conference. A bent for swordsmithing is about Matt Willett, a Michigan Tech theatre technology student who had dabbled in magic when he was in high school and had seen a sword trick or two. Willett’s teacher, Assistant Professor Kalen Larson, was so impressed with Willett’s creation that he invited the student to write a paper about it with him. OMG! 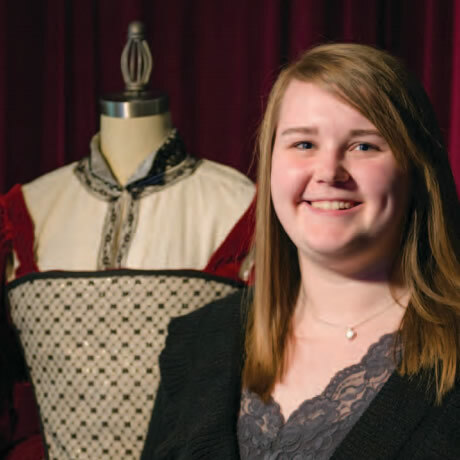 From wet head to up-do in five minutes is about Elizabeth LaRouche, who is working as costume shop manager in the Department of Visual and Performing Arts. Sew faux: painted embroidery for the Shakespearean stage is about Katy Ellenich, a Calumet native who worked at the Calumet Theatre all through high school. Making every new glove old again is about Morgan Nelson, a third-year costume design student from Cadillac. Read more at Michigan Tech Magazine, by Jennifer Donovan. For more color photos, including a high flying performance in Stealing Fire, view the PDF or Flash versions. Learn more about the BA program in Theatre and Electronic Media Performance and the BS program in Theatre and Entertainment Technology. 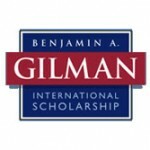 Four Michigan Tech undergraduates applied for Benjamin A. Gilman International Scholarships this year, and all four received the competitive awards. Sound design major Christopher Trevino received a Gilman Scholarship for international study. The Gilman Scholarship program aims to diversify the kinds of students who study abroad by supporting undergraduates who otherwise might not participate in international study due to financial constraints. The grants to Michigan Tech students total $18,000.